A landslide is the downward and outward movement of slope-forming soil, rock, and vegetation reacting to the force of gravity. Landslides may be triggered by both natural and human-caused changes in the environment, including heavy rain, rapid snow melt, steepening of slopes due to construction or erosion, earthquakes, and changes in groundwater levels. Mudflows, mudslides, rockfalls, rockslides, and rock topples are all forms of a landslide. Areas that are generally prone to landslide hazards include previous landslide areas, the bases of steep slopes, the bases of drainage channels, developed hillsides, and areas recently burned by forest and brush fires (Delano & Wilshusen, 2001). Pennsylvania has a long history of landslide activity. This has resulted from a combination of the state’s humid temperate climate, locally steep and rugged topography, and great diversity in the erosion and weathering characteristics of near-surface sedimentary rocks. Human activity and extreme precipitation events can also cause landslides. 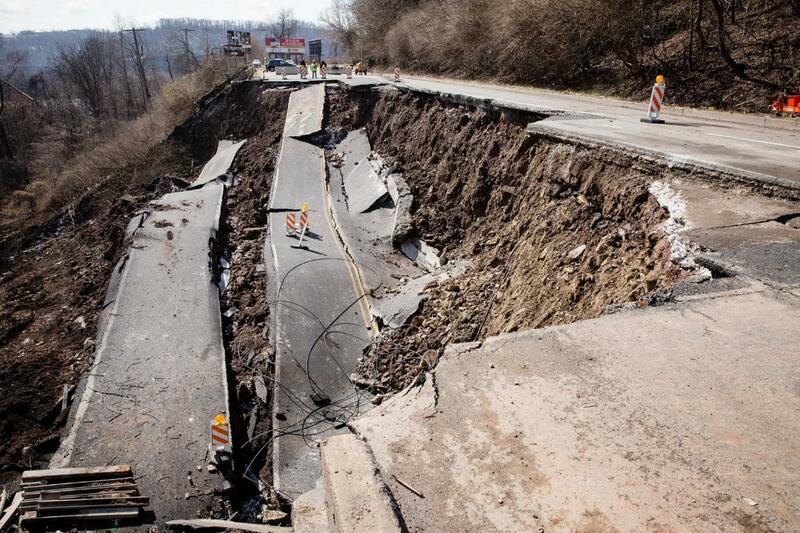 There have been two catastrophic landslide events in Pennsylvania’s past which resulted in multiple fatalities. The probability of future occurrence of landslide events varies depending on location with the occurrence of landslide events ranging from low in southeastern and northwestern Pennsylvania to high in southwestern Pennsylvania. 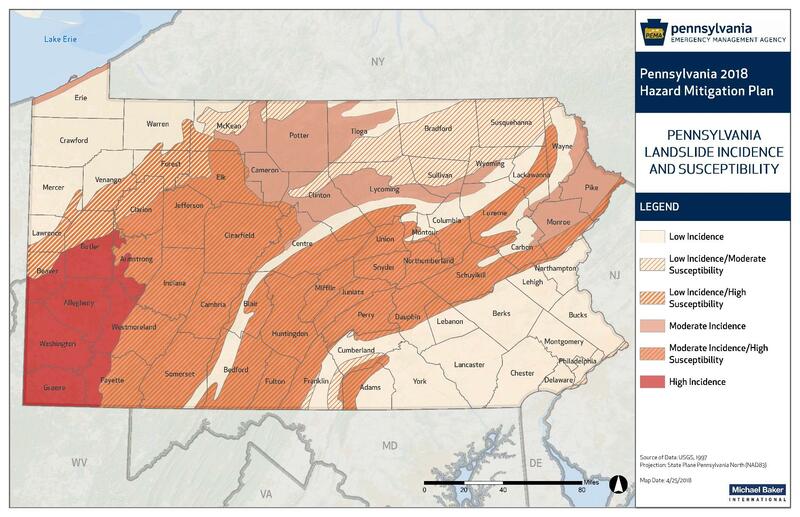 Landslide susceptibility and incidence across Pennsylvania.